To watch your cuddly, little angle sleeping peacefully in the crib, is one of the greatest pleasures of parenting. 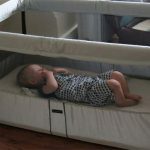 Whether you use crib right at the beginning or later convertible crib is a smart purchase because not only it can be the safest option for your infant to sleep, it can be converted to a toddler bed when your baby grows. 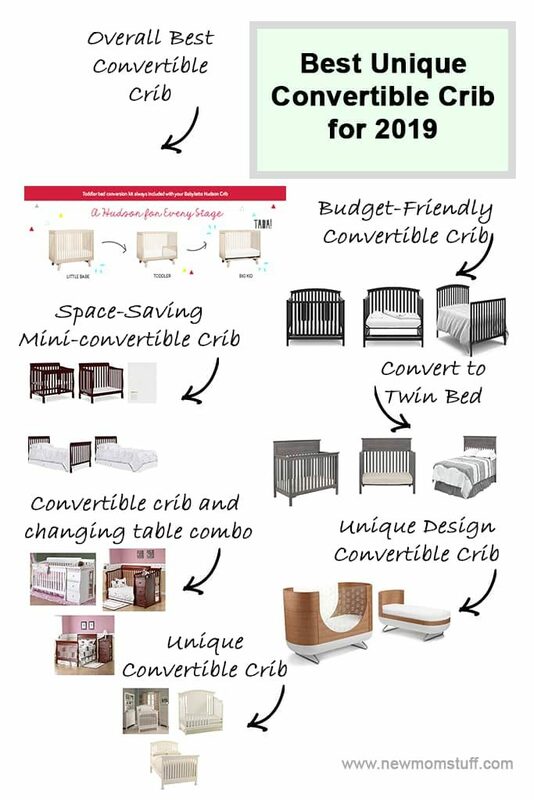 To help you in your hunt for Unique and best convertible crib for your new family member, here are our top picks after hours of research. And now let’s look at each of them in greater detail! 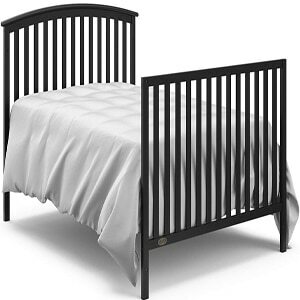 The Babyletto Hudson 3-in-1 Convertible Crib is a perfect addition to your child’s nursery. Designed fitted for modern homes, it’s practical and multi-functional. It features an all-spindle sides for a more open feel while allowing you 360-degree access to your baby. It’s New Zealand pine wood frame also makes it highly durable for a child to outgrow. It can be transformed from crib to toddler bed and then, to daybed– making it perfect for your little one to grow with. Want more? It’s also certified GreenGuard Gold making it perfect for eco-conscious households. It’s a cool product with a good price. Easy to assemble, sturdy and aesthetically appealing. Amazing and modern, and quick assembly. If money’s tight and the need is immediate then, the Graco Freeport 4-in-1 Convertible Crib is just for you. 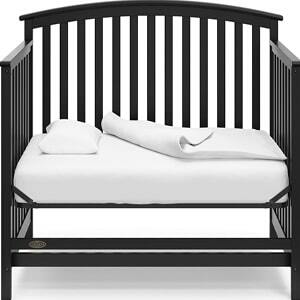 Simple yet functional, this convertible crib boasts of stationary and height-adjustable side rails ensuring safety of your child all throughout. 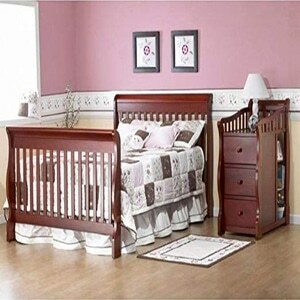 It can be converted from crib to toddler bed to day bed and full size bed complete with headboard. Great price with awesome look and proven sturdy. Ease of assembly; detailed instructions. Running short on per square-inch at home? 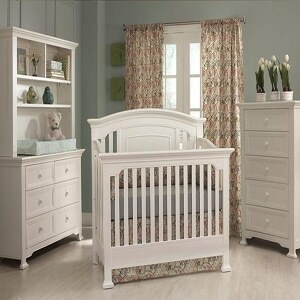 The incredibly space-saving Dream On Me 4-in-1 Aden Convertible Mini Crib is an excellent choice. This “mini-crib” though sleeker in size than full-sized crib still delivers the same impact. Built with premium-grade solid frame with stationary rail design and 3-position low-floor reach, it guarantees child safety while allowing ease and convenience when taking baby in and out. It converts from crib to toddler bed to daybed and lo and behold — twin size bed! For something small, this one’s jampacked with advantages. Great crib for those with limited budget. Another bestselling convertible crib from DaVinci, the Autumn 4-in-1 Convertible Crib is a perfect addition to environmentally-conscious households with high regard for safety and functionality. It features a versatile design to suit any types of interior and showcases sturdy slats, high headboard and refined molding. Certified gold by GreenGuard, this New Zealand pine wood product can be converted from a crib to toddler bed, day bed and then a twin bed when the need arises. Excellent craftsmanship and sturdy without looking bulky. Great price for the money. Lightweight, easy to assemble and space-saving. 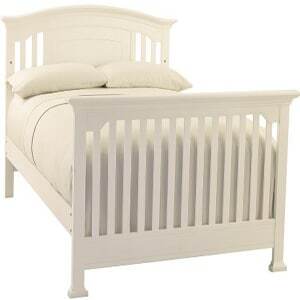 If it’s birch wood you want, the Sorelle Tuscany 4-in-1 Convertible Crib and Changer Combo is an excellent choice. Made from solid birch wood, it’s clean white finish makes it easy to blend with any interior design. It features a 4-position height-adjustable spring system allowing utmost safety as your child grows. It also converts from crib to toddler bed to day bed to full-sized. As an extra, the crib comes with a changer which also converts into a stand-alone storage organizer. 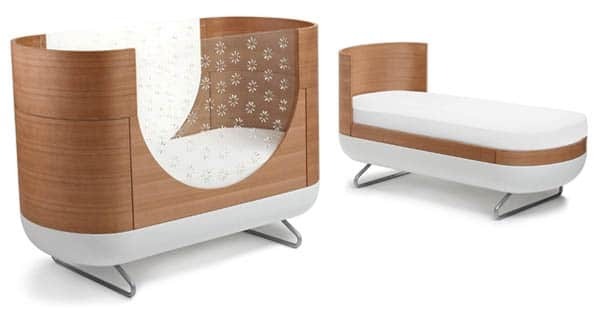 For parents who are big fans of sci-fi, this is one crib that is bound to make a great impression. It has a modern almost futuristic look to it – and it is going to fit right into your home. The Ubabub pod crib looks almost like a baby sleeping pod straight out of some sci-fi novel or book – and that may appeal to many parents. But on the downside, this one is a little on the expensive side – so if you are working with a budget, then maybe you should check out the other one. The fancy looking acrylic covered cut out sides aren’t just for show. They also offer you a view of your baby. The mattress has 2 different adjustable levels. So depending on the age of the child you can raise or lower it. It is modular in design, and once your baby grows into a toddler, you can easily convert this into a bed for them. And all the tools you will need to make that conversion are included in the package! 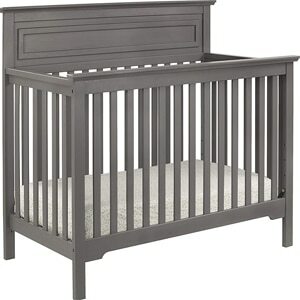 The cot is made of eco friendly wood, and the whole thing matches CPSC as well as ASTM International Safety Standards. And as for customer review – at the time of this review, there is just one. But nevertheless, it is someone who spent over 2 grands on a crib and loved it! 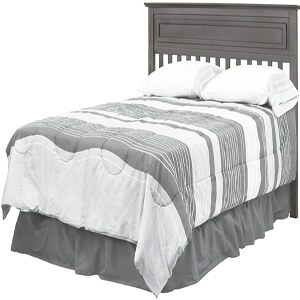 You should check out that review as well as the details of this bed and the pictures and then make a decision. And if it is this one you choose, do get it from Amazon, as their service is indeed exemplary! 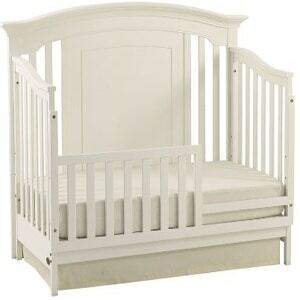 This one is a more stately and old fashioned design for a crib. But that doesn’t mean that it is old in functionality too. 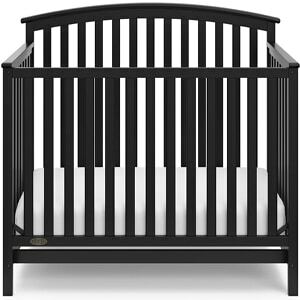 In fact, this great crib actually has a special 4 in 1 feature. 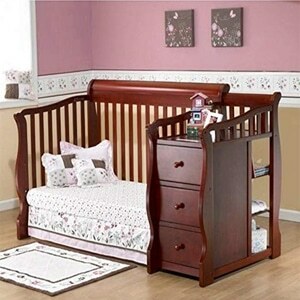 It converts to 4 different styles of beds – from crib to toddler bed – to even pull out young adult bed! And considering you can keep using it for years to come, the price really seems extremely reasonable. The only thing you will need to keep in mind, however, is that the kit for making the conversions is sold separately – and when the time comes for it, you will need to buy it. 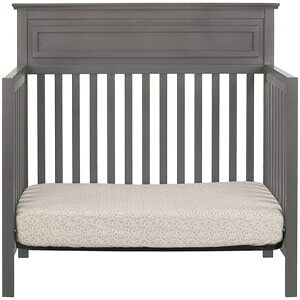 It has a very gender neutral design – so boy or girl – you can use this crib. Also it has a steady and safe construction that will pose no risks to your infant. And just for décor purposes, you can get it in any of the 3 available colors: white, espresso and vintage grey – whichever goes better with your décor. 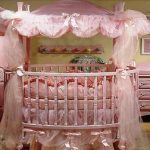 Most people agreed that the finish was great and the construction of these cribs and the related accessories was very steady. In fact, as a customer put in – it was steady and utilitarian enough to last all the way into the teenage years. Also it was fairly simple in assembly – which makes it a great crib to order! And these are just snippets – but you can always go and checkout the reviews that have given it a great overall rating – and then go ahead and buy from Amazon. Because think about it – only Amazon will give you a great discount AND top quality customer service! 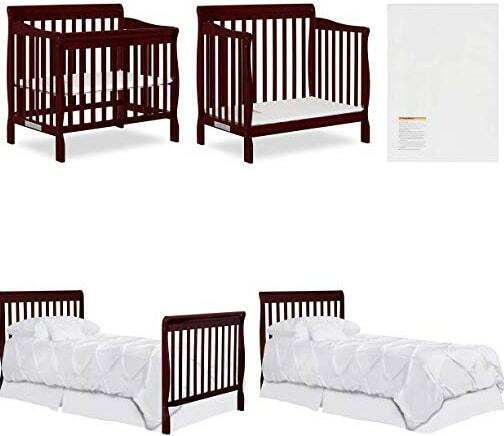 And there you have it – the Best Unique and Convertible Crib available on Amazon right now. Not only are they totally worth their price, they are also great additions to any nursery, anywhere in the world! So – have you made your choice yet?